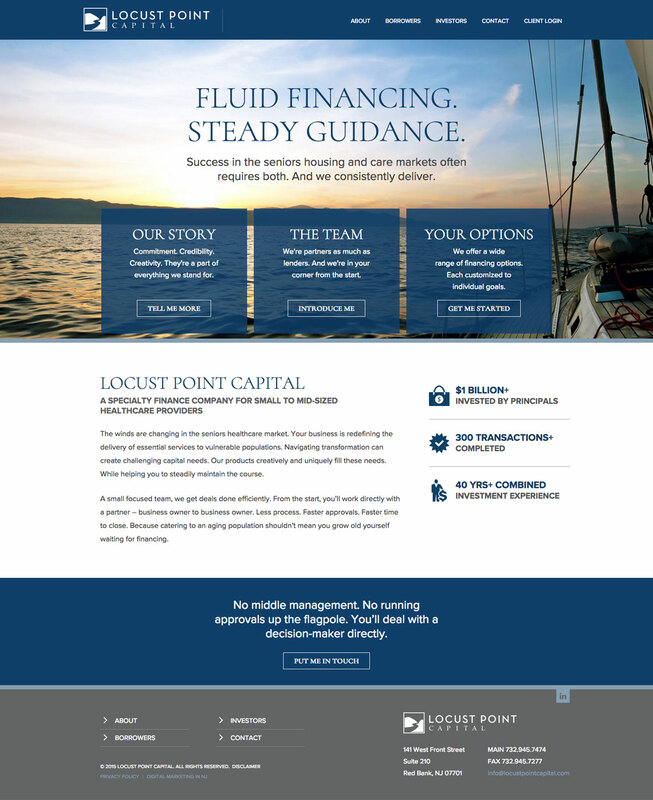 To design a new website for Locust Point Capital, a specialty finance company in Red Bank, NJ. We designed a site that strikes a balance between professional and inviting. The minimal layout offers a sophisticated and elegant presentation, allowing pages of the site to focus on content and services. We crafted their site copy to make the most out of the visitor’s time, and made use of high quality photography. The result is a visually appealing and user-friendly site that complements Locust Point’s brand.